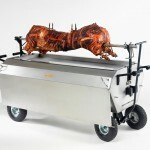 Are you on the lookout for a state of the art hog roasting machine for your events company? 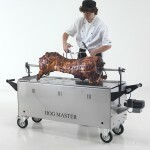 At Hog Roast Machine London we offer a brilliant range of spit and hog roasting products for hire or purchase. We have everything you need to start serving up deliciously succulent pork to all your guests with ease. 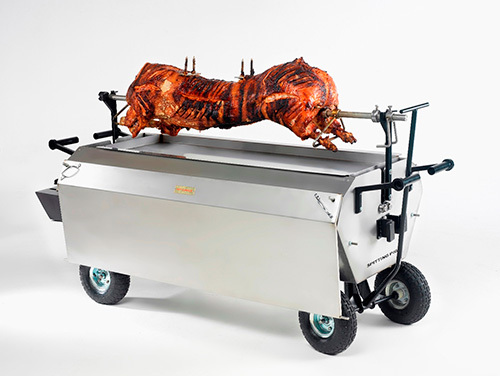 We know that planning catering for that special occasion usually takes hard work and dedication, but with a hog roaster you can ensure your event attendees are fed with minimum hassle. Swap that fancy three course menu for a succulent pork bap with all the trimmings. 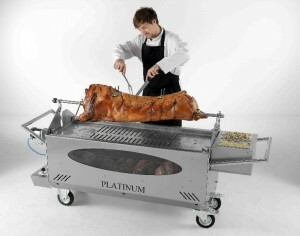 Each of our hog roasting machines has a fantastic reputation here in the UK. 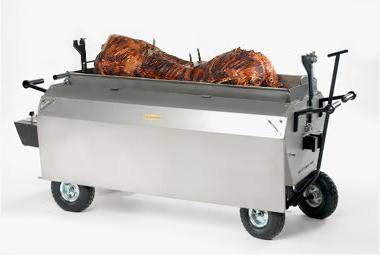 We are at the top of our game in the catering field and highly respected for our professional hog roasting equipment. If you need a hog roast machine in London, you’ve come to the right place! Alongside the exceptional roast and grill designs of our hog roasters, the visual aesthetic of our gear is second to none. 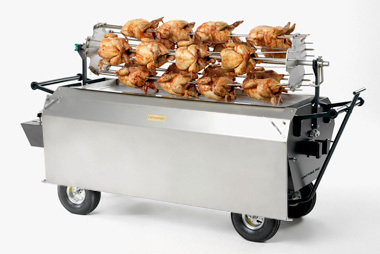 We understand how important the spectacle of a good hog roast is, so we’ve designed our machines to look slick and expensive. You’ll appreciate the easy to clean nature of our stainless steel products too. 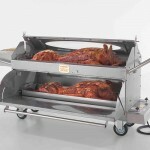 We have several different hog roasting designs available to suit your needs: the Hog Master, the Titan and the Platinum hog roaster. Each has its own unique selling points and has been designed by experts in event catering. We can ship to anywhere in the world and due to the high demand of our stock, we always make sure we have roasters ready to dispatch! 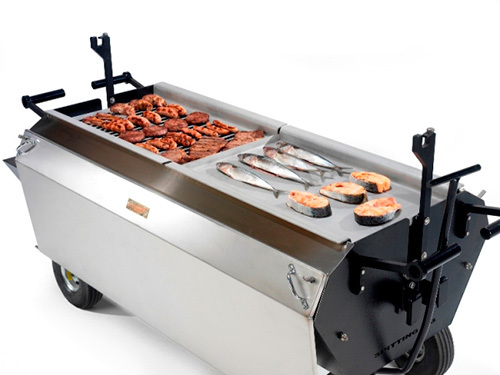 Purchasing from Hog Roast Machine London will make a brilliant investment for your business, but if you’re not ready to commit, we also offer full rental of our machines – an excellent way to test drive our equipment. All of our hog roasters come with 12 months warranty when you buy from us, proving our products can be trusted. 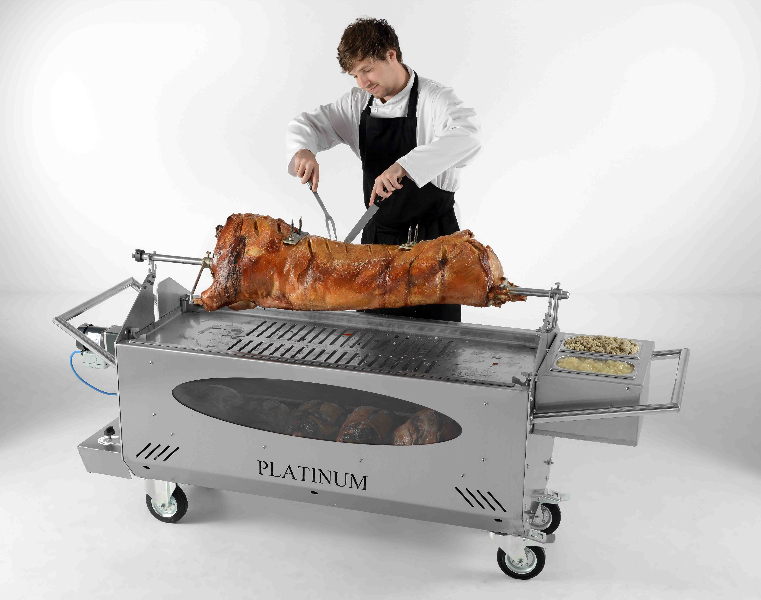 We are respected suppliers of hog roasting equipment to a wide range of clients, from independent wedding venues to large scale hoteliers. Don’t forget to take a look at our range of accessories too, from instructional DVDs to BBQ extension kits. Copyright © 2019 Hog Roast Machine London . All Rights Reserved.